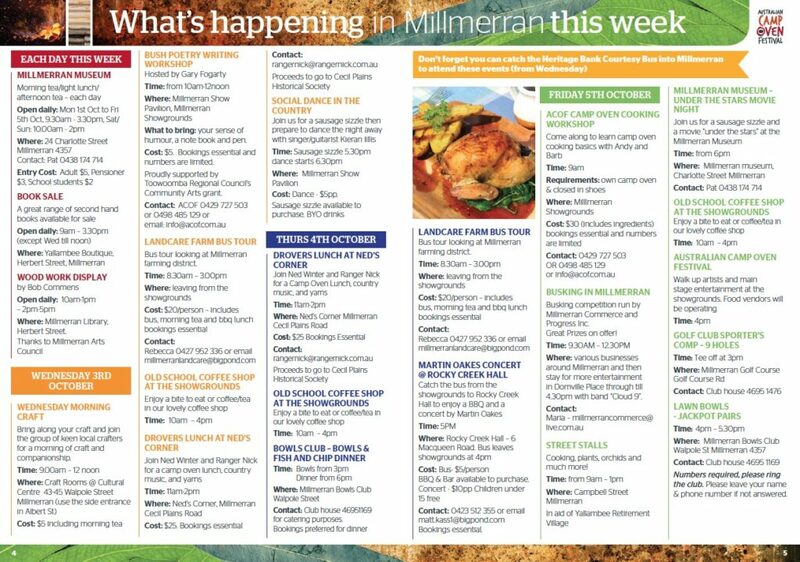 Heading to Millmerran early? We have a great variety of activities and entertainment on offer in the week leading up to the Festival. Download the full ACOF Program here or see below for what’s on offer prior to the 6 and 7 October.